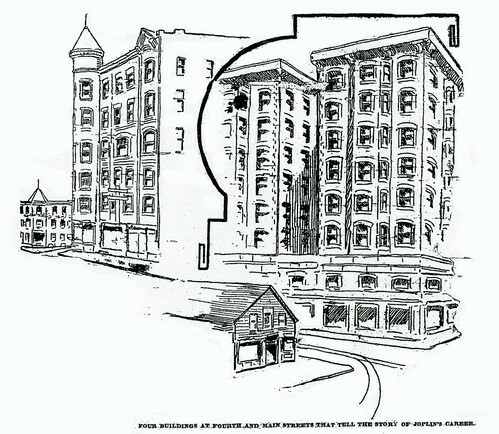 The “old frame landmark” was the Club Saloon owned by John Ferguson until his death on the Lusitania (learn more about that here) and the “half million dollar edifice” was none other than the Connor Hotel, completed in 1908 and considered by many the finest hotel of the Southwest. Unmentioned above were the Worth Block and the Keystone Hotel. 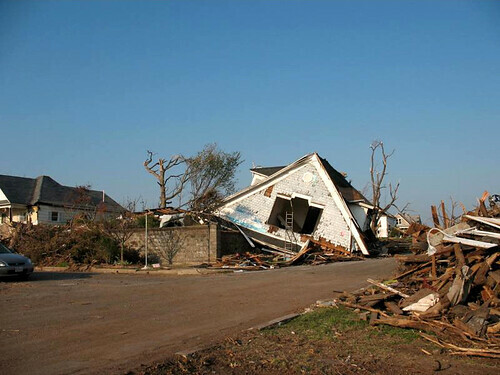 A visit to the intersection today, however, would find none of these buildings remaining. 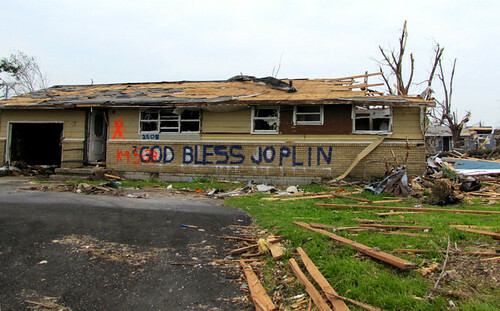 A step back in time, when these four buildings still stood, would let the visitor see Joplin’s history as built by man. 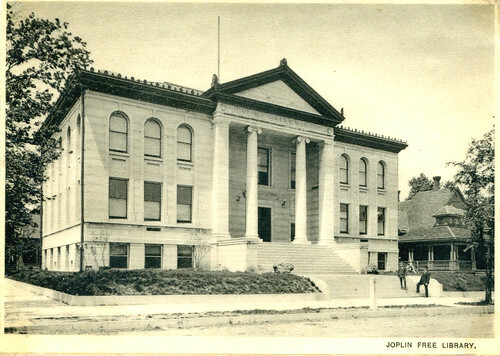 For reference by today’s geography, imagine that you are standing on the northwest corner of Fourth and Main Street with the Joplin Public Library at your back. Behind you in the past would be the towering eight story Connor, across the street to your right was the two story, wood-framed Club Saloon, where the current Liberty Building stands, to your left was the three story Worth Block, now home to Spiva Park, and directly diagonal from you would be the six story red-bricked Keystone Hotel, gone for the one story brick building today. 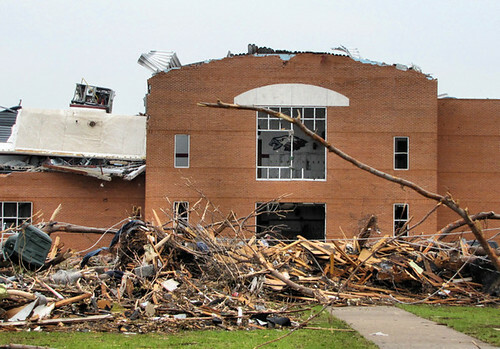 The same reporter from above offered descriptions of how each of these four buildings revealed the chapters of Joplin’s past. The history that the Club Saloon represented was one of a camp fighting to become a city. Across the street, so to speak, the old frog pond was shortly developed into a three story brick building, the original Joplin Hotel. 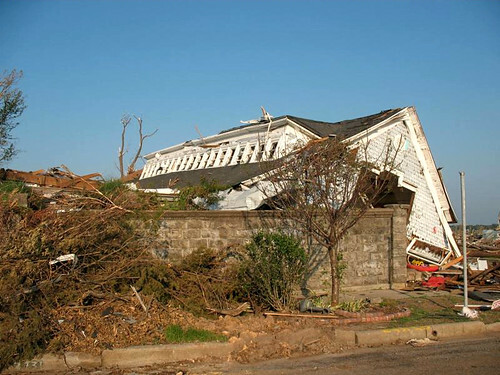 Described as a “palace” amongst the other contemporary buildings of Joplin, it was given credit for shifting the center of the new city from East Joplin to the area formerly known as Murphysburg. 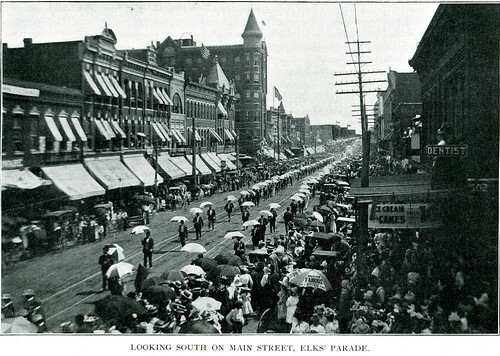 The presence of the brick building spurred the construction of others, particularly on the east side of Main Street. 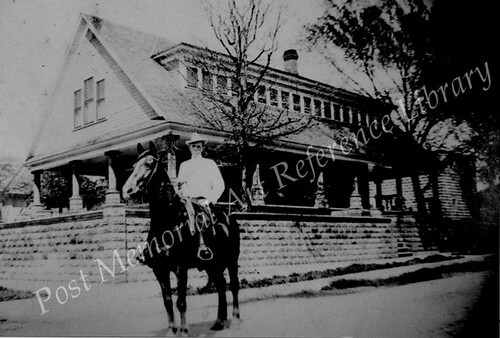 Among those building was Louis Peters, who continued his mining, but also built a two-story building at a cost of approximately $4,600 on the northeast corner. 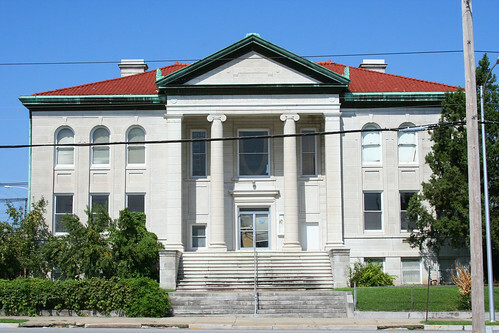 The new building replaced one that had burned to the ground and was built in less than two months, completed in the December of 1877. 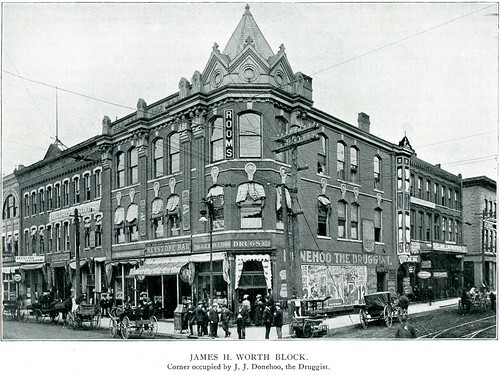 Later, a third story was added to what was then called the Peters Building, but became better known as the Worth Block when James “Jimmy” Worth became the owner (precipitated by Worth marrying a co-owner of the property). 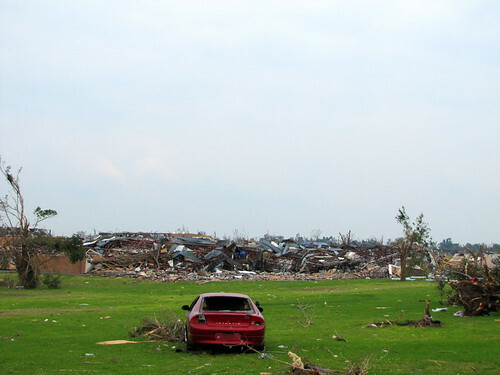 A crimson light hung high over Joplin, shedding its rays over a great portion of the town, would have been an appropriate emblem of the nature of the community. Pastimes were entered into with a wantoness that brought to the town a class of citizenship not welcome in the higher circles of society. 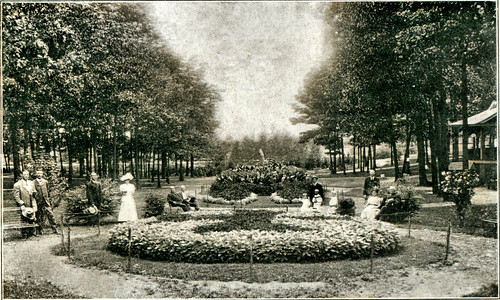 But if, in those days there was a higher circle, its membership was limited. Society existed but it was in true mining town style. There was in evidence the dance hall, the wine room and the poker table. The merry laugh of carefree women mingled with the clatter of the ivory chips on the tables “upstairs” and the incessant music of the festival places sounded late into the night, every night of the week, and every week of the year. 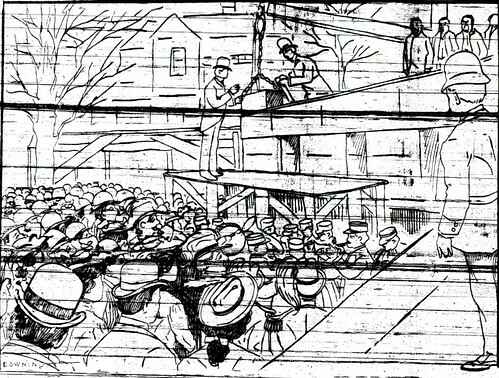 No city ordinance prevented citizens from expectorating tobacco saliva upon the sidewalks; in fact, the sidewalks were almost as limited as was the membership of the exclusive upper circles. 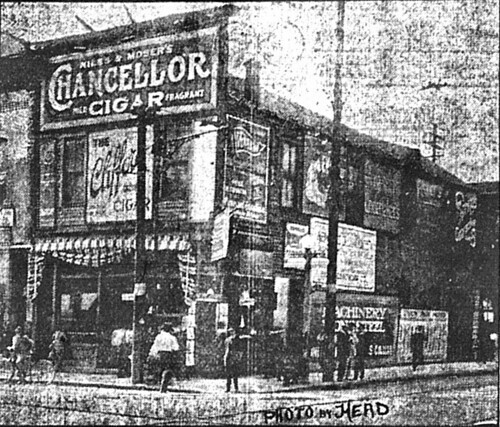 Until the demolition of the Club Saloon, at a glance, one could have seen the history of the city. From the very first days when a wood frame building was a sign of progress, up from shanties and tents; and then the brick constructions of the Peters Building that became the Worth Block, as the first inclinations of wealth from mining began to show progress; and finally, the raising of the Keystone and the Connor, when millionaires brushed elbows as they walked the sidewalks from the House of Lords, and Joplin was in the thick of its first renaissance. A visit to the intersection today leaves nothing of this history to be learned at a glance. 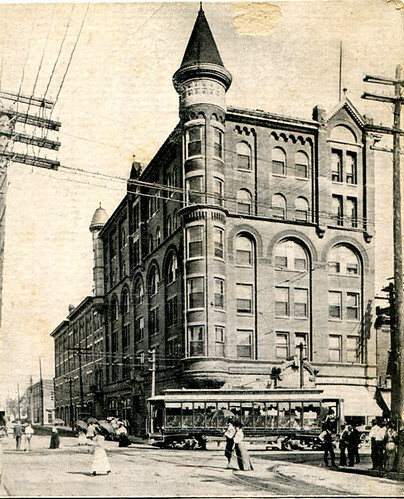 The Liberty Building, which now stands where the Club Saloon once stood, is a bridge back however, witness to all of the former inhabitants of Fourth and Main Street but the Club that it eventually replaced. 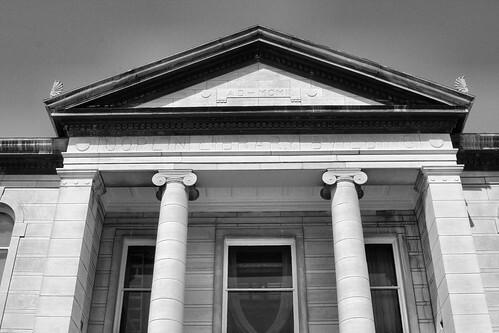 As are all the historic buildings of downtown Joplin, so while some of old Joplin is gone, much thankfully, can still be enjoyed and that history known with a glance. For those of you who may have missed the announcement last week, the Post Memorial Art Reference Library recently unveiled a newly designed website. The new look is a good one, adding separate pages about the library which cover the library’s great benefactors Winfred and Elizabeth Post, the art and antique collection (broken down by type), library resources, and library news. 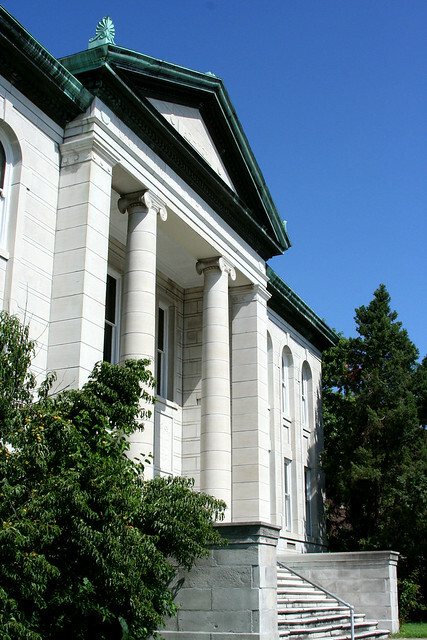 Including in the library resources is information on resources concerning historic preservation. 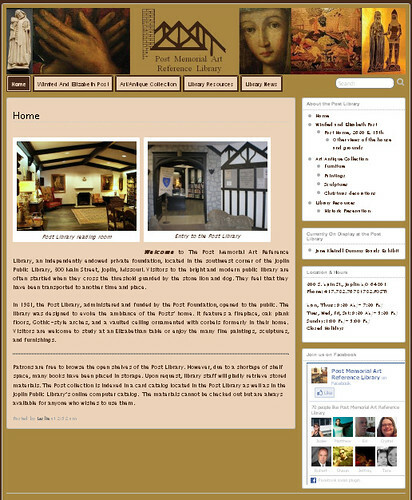 Additionally, the website now offers up to date information on exhibits at the library, as well exhibits of the past. If you’re not familiar with the Post Memorial, it’s the little gem tucked away in the back of the Joplin Public Library by the computer area, directed by one of the experts of Joplin history, Leslie Simpson. If you haven’t visited it yet, there’s no excuse not to do so after visiting its new website. 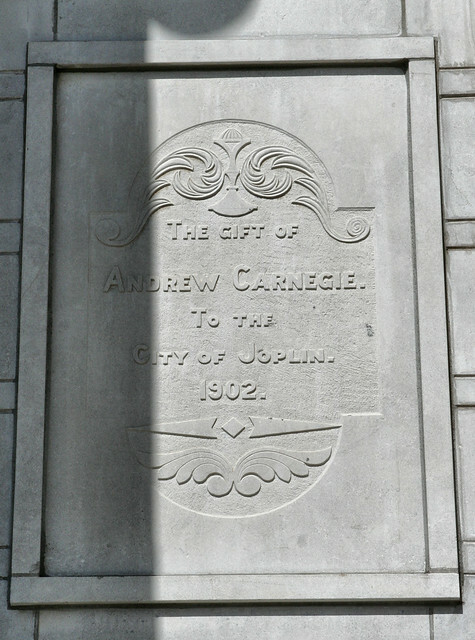 The Joplin Carnegie Library may come up in a city plan to be discussed tonight, July 6, 2010, by City Manager Mark Rohr, as part of the redevelopment plan for the city. 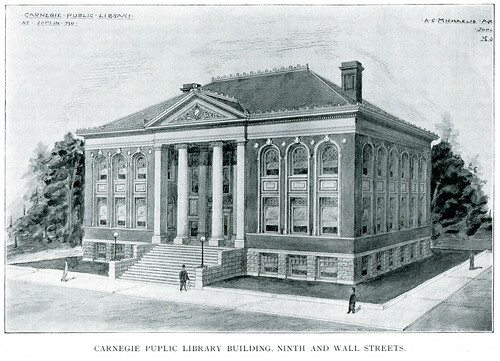 As such, we figured to show a series of photographs (and one drawing) of the Joplin Carnegie Library. First, we have the award winning sketch of the library by August Michaelis, a distinguished Joplin architect of the time. 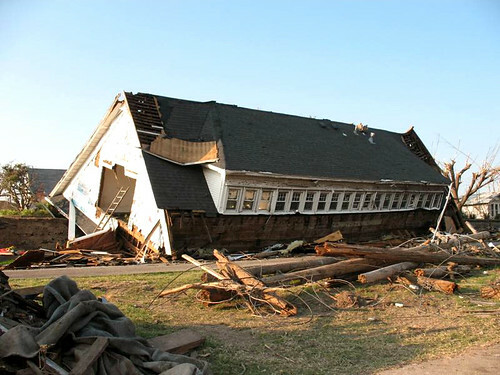 Now we have the library as it appears today. 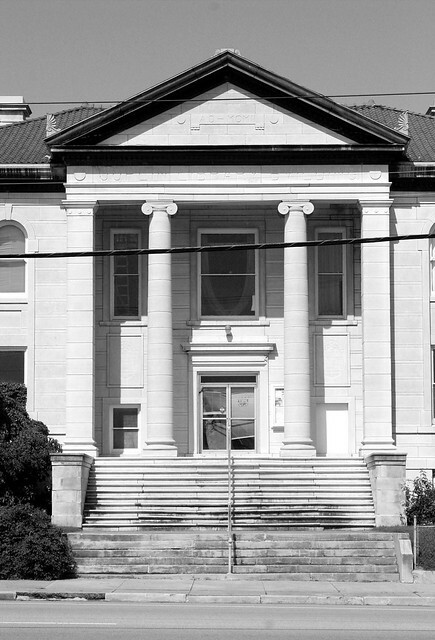 It is privately owned, but in need of restoration. 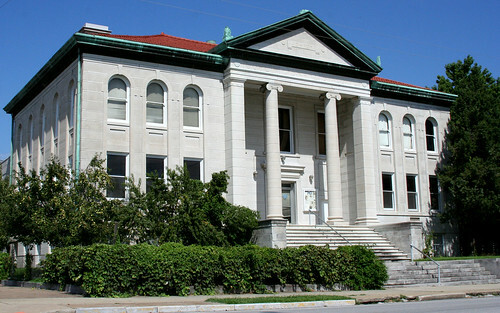 It is easily one of the most beautiful buildings in Joplin. 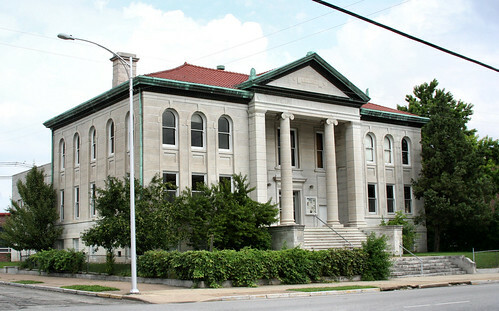 The Joplin Carnegie Library as it appears today. 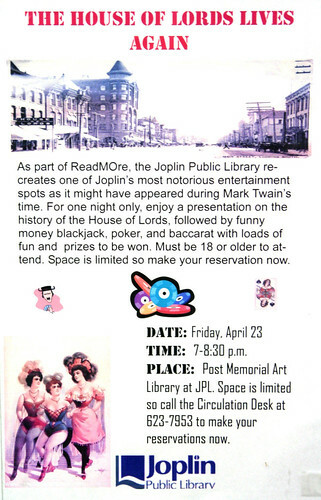 In support of ReadMOre Missouri, a statewide reading program, the House of Lords will be “recreated” at the Post-Memorial Library in the Joplin Public Library from 7:00 to 8:30 pm on Friday, April 23. While the gambling history of the House of Lords will be brought to life with several games of chance, the focus will be on Mark Twain, the selected author for ReadMOre Missouri this year. On Tuesday, a living history presenter will channel Mark Twain in a presentation to be given at the event. For a brief history of the House of Lords, you can read the article at the Joplin Globe here.